Three generations of the deLeuze family own and operate ZD Wines in Napa Valley and when the grapes are harvested this fall, it will be ZD’s 50th harvest. So, they are planning to celebrate five decades of award-winning wine in style and you can benefit from their efforts as well. The family is currently making improvements to their hospitality center including a remodel of their Vineyard View Room and Deck. Soon, new sliding glass doors will provide unobstructed views of the valley floor and visitors will also have open views of the barrel room. 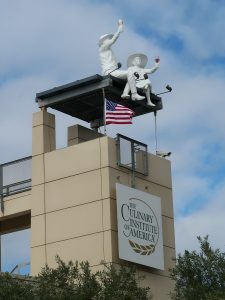 The deLeuzes are also planning an entire evening of festivities on September 8 at the Culinary Institute of America at Copia (500 1st Street, Napa). The ZD Wines 50th Anniversary Bash runs from 6 pm to 10 pm featuring guest chefs, food and wine pairings, and plenty of rare, limited and library wine selections from ZD Wines. The event will also feature the much-anticipated unveiling of a 50th Anniversary Cuvée Sparkling Wine, the first ever produced by ZD. Tickets for the 50th anniversary celebration are $150 per person, but you should move quickly as this event will sell out. 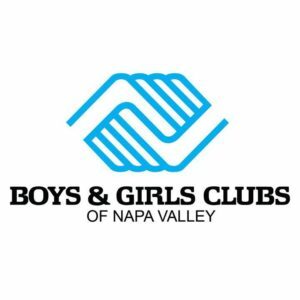 Attendees will also be able to enjoy live entertainment and participate in a fundraising silent auction benefiting the Boys and Girls Clubs of Napa Valley. You can buy your tickets here, but ZD First Taste Wine Club members should contact the winery at 800-487-7757 to get information on how to obtain a discount. On-site parking will be available that night at CIA at Copia, although the use of taxis, private car services, app-based transportation options, or your own personal Designated Driver are always encouraged. If you’d like to go wine tasting and explore the ZD Wines selection of premium wines, the tasting room is open daily from 10 am to 4 pm at 8383 Silverado Trail in Rutherford (800-487-7757). Walk-in tastings are available, although appointments are preferred for groups of 6 or more. The wines at ZD have been crafted since 2001 by the same winemaker, Chris Pisani, so you’ll find consistent structure across the wine portfolio over the years. Our personal favorites are the California Chardonnay, Reserve Chardonnay, Founder’s Reserve Pinot Noir and Cabernet Sauvignon, but you should follow your own taste buds. Members of ZD Wines’ First Taste Wine Club receive discounted rates on some of the above tasting experiences. If you are driving an electric car, you should know that ZD Wines also provides charging stations on the property which are available to visitors. The deLeuze family has a passion for, and history of, philanthropic efforts. Last year, they established the deLeuze Family Charitable Foundation benefiting charities such as the deLeuze Family Endowed Professorship for a Non-Toxic Cure for Lymphoma, the Teen Center at Boys & Girls Clubs of Napa Valley, and Davis Phinney Foundation for Parkinson’s. To support these endeavors, ZD Wines hosts events throughout the year and they have raised over $1,000,000 so far to further the research into a cure for Lymphoma, and more than $100,000 for the Teen Center and other charities. 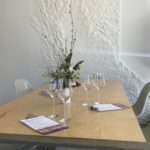 One of those events, the 2018 ZD Wines Crush Challenge was held in May and was a tremendous success. 175 riders including Congressman Mike Thompson and Olympians Connie Carpenter and Evelyn Stevens participated in the Crush Challenge morning bike race (with 27- or 38-mile routes). Also that morning, ZD Winemaster Robert deLeuze and Hell’s Kitchen Winner Chef Rock Harper hosted a Private Barrel Tasting at ZD Wines where award-winning wines were paired with artisanal cheese, charcuterie, and light food pairings hand-selected and prepared by Chef Rock. After the race, over 400 guests enjoyed local vintners and breweries and Napa Valley restaurants at a Food & Wine Marketplace enhanced by entertainment from The Bee Rays with Amy Hogan. 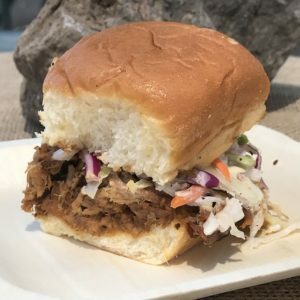 During the Marketplace, our personal favorites included the 2016 Truchard Vineyards Chardonnay, Trade Brewing Bricklayer Pale Ale, Celadon’s Ahi Poke Tart with Sriracha Aioli, and the Roasted Pork Sliders from Woodhouse BBQ. Later that evening, 110 guests had the pleasure of attending an Exclusive Wine Dinner featured celebrity chefs Chris Cosentino, Justin Cogley, Chris DiMinno, Rock Harper, and Chris Kollar with wines from Truchard, Vineyard 29, St Supery and ZD Wines. Crush Challenge festivities also included a silent and live auction of rare wines, private vineyard dinners, wine-inspired art, exotic vehicle experiences, a South African safari vacation, Napa Valley private home stays and more. The ZD Wines Vineyard Dinner for 12 auction item (including a private tour of ZD’s Carneros Estate and samples of Reserve ZD Wines) actually sold out twice at $10,000 each time. While Crush Challenge organizers are still finalizing the amount of fundraising earned this year, a preliminary tally puts gross dollars earned for the 2018 Crush Challenge at more than $100,000, more than double the event’s 2016 earnings. Back in 1969, ZD Wines was founded by Norman deLeuze, his wife Rosa Lee and Gino Zepponi. The ZD Wines brand highlights the initials of the founding partners’ last names, but it also references the term “Zero Defects,” an acronym for the quality control program Norman and Gino worked under while designing rockets at AeroJet, a rocket propulsion manufacturer in Sacramento, CA. After Gino died in 1985, the deLeuzes purchased the Zepponi interest in ZD and became the sole owners of the winery. Norman was a pioneer in the California wine industry passionate about winemaking, organic farming and his family. After he passed away in 2007, Rosa Lee continued serve as the winery’s matriarch and ambassador until she also passed away in May 2018. Norman and Rosa Lee’s son Robert deLeuze started full-time in the family business in 1979, was promoted to Winemaker in 1983 (the youngest in Napa Valley at the time), and became CEO/Winemaster in 2001, a position he still holds. His brother Brett deLeuze was only 4 years old when ZD Wines was founded, but after getting a little older and graduating with a degree in business, he joined ZD and is currently the company’s President. Robert’s children represent the third generation of deLeuzes at ZD Wines. His son Brandon deLeuze is currently the Associate Winemaker working alongside Chris Pisani, ZD’s Winemaker. Jill deLeuze Billeci joined the family business in 2010, transitioned into the Sales and Hospitality area, and remains active with the winery as a Board Member. 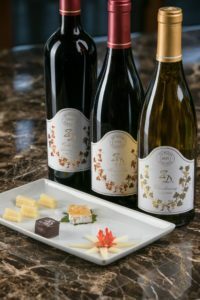 ZD Wines is located in the heart of Napa Valley in the Rutherford region and has been producing world-class wines, focusing on Chardonnay, Pinot Noir and Cabernet Sauvignon for five decades. With a commitment to quality, consistency and style, the deLeuze family embraces bio-diversity and both of their estate vineyards located in Carneros and Rutherford have been certified organic since 1999. ZD also crafts premium wines from grapes grown in Santa Barbara, Monterey and Sonoma Counties. 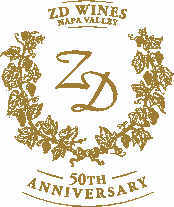 We encourage you to try the premium wines from ZD Wines at the winery, in your own home, and/or at the upcoming 50th Anniversary Bash on September 8. But if you want to attend the Bash, and have a great time while you help support the Boys and Girls Clubs of Napa Valley, please get your tickets soon.